We have added this section on Starseeds because this is a time when they are being incarnated on the planet in large numbers. It is our belief that many people will resonate with the challenges faced by Starseeds because human consciousness is undergoing a shift which is affecting everyone on the planet. As Alfred Steinecker has made clear through his telepathic connection with the ETs, this is a time when anyone on the planet can connect to the ET presence , and can develop for themselves, with assistance, a connection with the highly evolved beings who are around us at this time, and who have our best interests at heart. Starseeds are playing a pivotal role in ensuring that this takes place. A Starseed is a person who has had a former life, or many former lives as an extraterrestrial being, and sometimes a being who has incarnated in other dimensions, , and whose energy frequency and state of being is very different from other people from the moment that they are born. Starseeds often have spiritual abilities from an early age, and are highly empathic, with advanced psychic abilities. It is not uncommon that they have “imaginary friends” as a child, leading to concern from parents and those in charge of their welfare. Frequently, these imaginary friends can be either ET connections, who maintain contact with the Starseed throughout their life, or spirits and inter-dimensional beings , who sense the abilities of the Starseed and come to communicate with them. Starseeds , in common with mediums, are able to see into other dimensions, and the beings within them. They attract inter-dimensional entities and spirits, as well as ETs. They have an innate knowledge of the One Consciousness Field which manifests within all beings, and are fundamentally aware of the inter-connectedness of all things. They are sensitive to the feelings of others, are deeply compassionate, and feel everything more intensely than others. The hardest thing for a Starseed is to experience the depths of pain and suffering in this world we live in, where soul growth is achieved through binary opposition and the friction of opposing forces. Nothing in this world seems to make sense to a Starseed. The Starseeds have always been incarnating within humanity, but this has dramatically increased since the middle of the twentieth century, coinciding with the development of weapons of mass destruction by the worlds’ military forces, and man’s progressive destruction of Gaia’s eco-system . More and more are incarnating at this present time, with missions ranging from teaching new physics applications, which they receive through downloads, much as Nikolai Tesla did, to educating humanity about saving the planet, raising consciousness as spiritual teachers, or simply “anchoring” higher consciousness and energy which is currently manifesting throughout the planet. Starseeds face many problems, and while many receive regular contact with their star family in the form of “downloads” of large amounts of information throughout their lives, and can experience visitations from them , they nevertheless face the problem of forgetting who they truly are. The education system and society both ridicule their sensitivity and gifts, and apply pressure on them to conform to the norms of superficial consumerism and a bilinkered outlook on life which is in complete opposition to a Starseed’s multidimensional awareness. When a Starseed incarnates, they frequently forget their life mission, and their previous lives, just as every soul does, and have no idea what they are doing on a planet on which they feel “alien”. And for those that do remember, as many of the starseeds currently incarnating are, there is the problem of facing the rejection and ridicule of one’s peers, and the problem of being called a liar when describing their extraordinary paranormal experiences; these often include going to school regularly on board craft with other Starseeds , or having to explain how they know complex equations from quantum physics , writing or speaking alien languages , intuitively sensing medical problems in others, and how to resolve them or heal them , reading others’ thoughts , and even having visions of the future, to name but a few! Starseeds have lived many lives before off-planet, and may have had lives on many star systems. Usually there is a particular type of ET connection which is particularly strong, and which is known not only through dreams and visions, and in astral experiences, but also through direct contact with the ETs in waking consciousness. Typically the ET races reported as star family, are Orion, Pleaiadean, Lyran, Arcturian, Vegan, Draco, Grey ( Zetans), etc. It is of great importance to Starseeds that they are able to recognise and reconnect with star family, to rediscover their off-world heritage. The new generation of starseeds includes a large number of people who have been diagnosed as Asperger Syndrome, ADD, ADHD , and what is apparent is that the human genome is in the process of being altered in a gradual stages to what Mary Rodwell describes as “Homo Noeticus” or the New Human. Very often the extreme sensitivity of these new Starseeds is such that only the smallest pathogen in their environment can cause an extreme toxic reaction to their system, and they are then labelled with a medical condition. . This does not actually help with understanding the problem, and the drugs used to manage behaviour only serve to reinforce the problems being experienced by these deeply gifted souls. . They can also have a host of food allergies due to their refined nervous systems, and this is always an important issue to address in assisting them. In order to live as a healthy Starseed one must rediscover one’s identity, seek out a support network, and reconnect with star family. Starseeds can often need mentoring to create a healthy lifestyle and develop spiritual practices which will enable them to remember their mission on the planet, and fulfill it. That way they can become re-empowered and can live a happy life. It is our duty to help the Starseeds … mankind depends on it ! 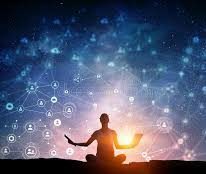 · Feel more connected to the ‘stars’ than earth? · Feel very ‘different’ to your parents or siblings, almost like your have been adopted? · Feel that there is no one the same as you? · Feel you have a ‘mission’ or purpose that you are not conscious of yet? · Feel very ‘connected’ to all living things? · Feel passionate about the planet and caring for it? · Feel the impulse to draw unusual symbols or pictures? · Feel the urge to draw the faces of ‘unusual’ beings? · Feel the ‘urge’ to speak in a ‘strange’ language, which somehow feels very familiar to you? · Feel ‘constantly’ watched or observed? · Feel that you are being touched when resting or sleeping by something or someone? · Feel you are ‘sharing your consciousness’ with another being? · Feel you can sometimes be in two places at once? · Feel you can visit or see other ‘places/planets’ with your consciousness? · Feel that someone is speaking ‘telepathically’ to you sometimes? · Feel determined to have a very holistic, healthy mainly ‘vegetarian’ diet? · Feel you have ‘unusual’ small objects implanted in your body? · Feel you have got ‘unusual’ strange children somewhere else? · Feel you can hear people’s thoughts? · Feel drawn to travel to remote places? · Feel a ‘strong’ connection or ‘pull’ to a strange planet, which feels like home? · Aware of healing energy in your hands? · Can see aura’s, colours or energy fields around people? · Dream that your ‘body’ or mind, has been changed or altered in someway? · Aware of ‘different’ energies from people? · Have ‘dreams’ where you feel you are attending an ‘unusual’ school? · Have out of body experiences, feel you are going through walls or windows? · Have dreams where you are flying? · Have ‘difficulty’ at times being in crowds of people? · Aware of being in a dual reality at times? · Aware of events before they happen? · Aware of information/knowledge in your head that you have not consciously learnt? · Have played or known to have ‘unusual’ imaginary friends? · See strange beings either physically with your eyes or with your inner eye? · Have ‘energy’ surges in your body sometimes? · Have ‘marks’ or ‘scars’ on your body that you cannot explain? · Wake up with ‘nose bleeds’? · Learnt to speak, walk, earlier than average? · Become very distressed when any living thing is harmed or killed? · Fascinated by UFOs or the possibility of ET life forms? · Drawing unusual writing or scripts? · Notice that sometimes your thoughts can affect lights or objects? · Electrical equipment reacts erratically around you? · You have difficulty wearing a watch? · Have found that occasionally your body will spontaneously levitate? · Woken up and felt you had been healed in some way? · Have memory gaps in your childhood? · Have ‘paralyzing’ dreams, where you feel you are awake, but cannot move? · Experience missing or ‘extra’ time episodes? · Have or had difficulty fitting in at school or in life generally? · Have a sensitivity/ allergy to many pollutants, or drugs? · Experience strange or unusual psychic or paranormal phenomena around you? · Low vital signs, ie – slower heart rate 60 – 70 beats per minute? · Lower blood pressure and body temperature than normal? · Clowns, Father Christmas, Owls, Spiders, large Insects, Cats or Wolves? · Fear of the dark, closet, long passage ways, elevators, even when adult? If you are a Starseed, or have a child or family member who is a Starseed, and would like a Starseed reading and assistance if they are experiencing difficulties, or you are struggling to know how to help them, please feel free to contact us.